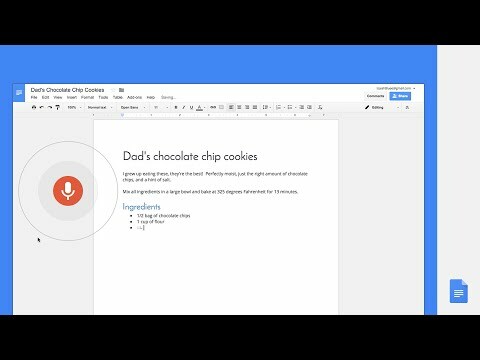 You can now use your voice to create text in Google Docs if you are using the Chrome browser. This new feature debuted recently and is very easy to use. Check that your microphone works. 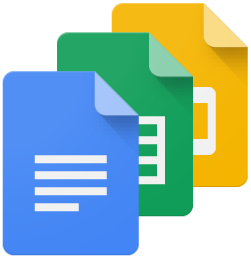 Open a document in Google docs with a Chrome browser. Click Tools > Voice typing. A microphone box appears. When you’re ready to speak, click the microphone. Speak clearly, at a normal volume and pace (see below for more information on using punctuation). If you make a mistake while you’re typing with your voice, you can move your cursor to the mistake and fix it without turning off the microphone. After you correct the mistake, move the cursor back to where you want to continue. To see a list of suggestions, right-click words underlined in gray. This entry was posted in tech tips and tagged Google Docs, voice recognition. Bookmark the permalink.